This easy-to-use indicator, which displays market volatility in the form of histogram, is based on ATR (Average True Range). 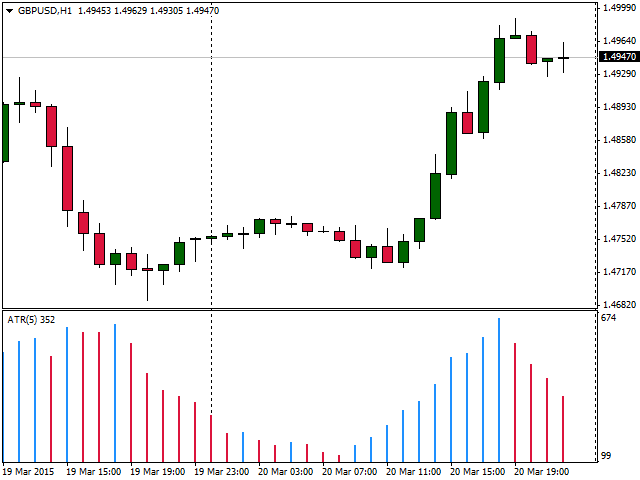 The histogram changes its color depending on increase or decrease in volatility. Data are displayed in points for the sake of traders' convenience. This ATR Histogram is meant to be used with a fee-based trading strategy of Svetlana Shevchun which is named "Bankomat" ("ATM"). difference between current minimum and previous close price. - Added the possibility to select calculation by bodies or shadows.